The Jharokha collection of Nikamal's @home is a must-have for everyone. These are the highly popular and desired cushion covers that provide a base for your room and make it a sight for sore eyes. The covers are peppered with small and asymmetrical squares that give a sophisticated and pleasant vibe to your drawing room. With the classic combination of black and cream, these designs will definitely bring about a new air of luxe and grandeur. The jharokha pattern is a well-loved design and can be used in all kinds of settings. The black and cream combinations make it appropriate to be used in a modern, sleek setting and the jharokha pattern makes it ideal for a traditional style living room. 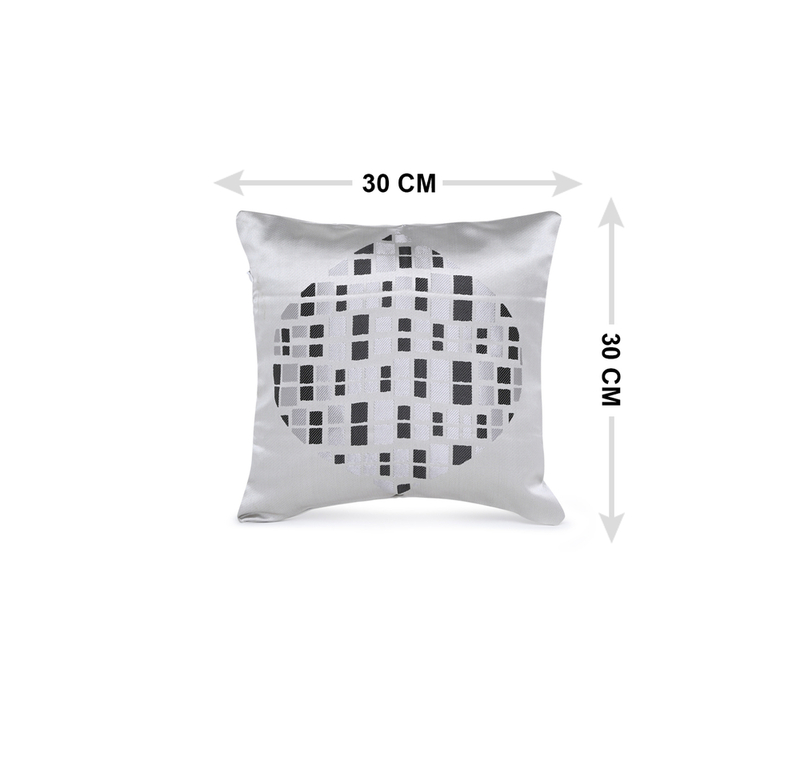 The cushions come in a pair of two and are made out of polyester, which is a sturdy and trusted fabric. The washing conditions of the cushions are easy and uncomplicated. They can be washed by hand or in the machine. To seal the deal, the cushion has a zip closure. Zips make it easier to remove or slide the cover on or off a cushion.